When I was a kid, the only super-hero action you could get was on Saturday mornings, and then only from the classic "Super Friends" cartoon. Looking back, I realize it was a pretty bad show, but as I said it was the only game in town. So I watched the living daylights out of it. When crossing the street, look left, right, then left again. If you get something stuck in your eye, pull the upper lid out and down on top of the lower lid. You'll tear up and wash out the obstruction. So there you have it. He might have been terrible at fighting super-villains, but he could teach the heck out of child safety. Thanks, Aquaman! Aquaman wasn’t all that bad on that show. I remember watching the heck out of that show. I think that Aquaman has been getting a raw deal on the newer shows. “Young Justice” did a good job with him. Windy and Marvin were on “Young Justice”. And one of the “Justice League” shows had a version of the Wonder Twins on it. There is no cartoon I learned more from than G.I. Joe. I still use their technique for treating a bloody nose. I also never touch downed power lines. 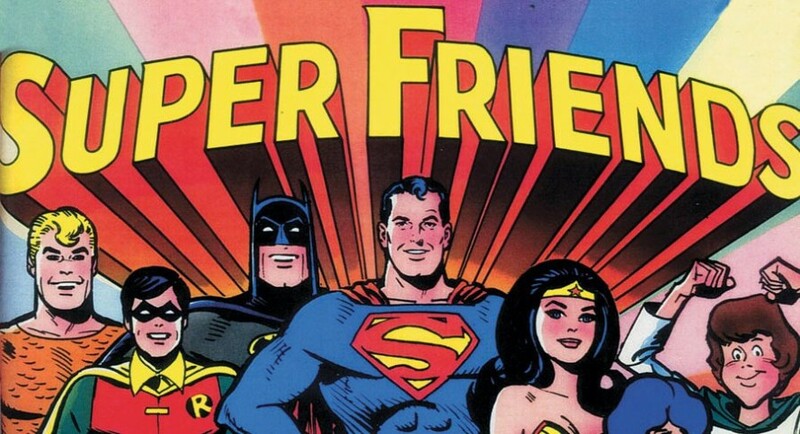 For humorous reviews of Super-Friends episodes. Not for those of delicate sensibilities…or fans of Aquaman! Aquaman was a really friendly-seeming character. I’d have LOVED having him as a neighbor . . .
I’ll always remember Superman with Danny Dark’s voice, to some degree. In fact, I imagined Batman this way, too, for a long time.